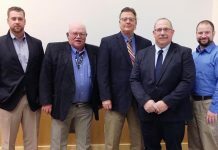 The American Poultry Historical Society added five inductees into the Poultry Industry Hall of Fame for 2019. They include Earl Benjamin, D. W. Brooks, Mark Cook, Abit Massey and Jim Perdue. W. Brooks: D. W. Brooks, a native of Georgia, received his B.S. and M.S. degrees from the University of Georgia in Agronomy. D. W. was an agronomy instructor at UGA and left the university and organized a farm cooperative. Through his leadership and using concepts such as hybrid corn seed and better-quality fertilizer, corn yields of farmers in the co-op increased from 10.5 bushels/acre to 86 bushels/acre. While this was a boon to corn farmers,it led to the future of the poultry industry. In his research, he determined that fish-meal was an asset for bird health and productivity and that soybeans could also be a valuable staple in poultry diets. D. W. was a proponent of further processing and branding and realized the importance of exporting poultry as a commodity. 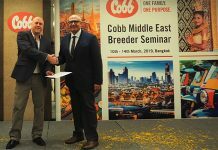 His first success in exporting was to Europe, but this soon spread globally and helped establish a model ultimately vital for the poultry industry. D. W. realized that size and economy of scale would be a key to the sustainability and success of the poultry industry. He founded and led Gold Kist Poultry for 47 years and became its chairman emeritus upon retirement. He advised government leaders on agricultural economics and trade policy. He was acknowledged as one of the 20th century’s most visionary and innovative leaders in the field of agriculture both nationally and internationally. Poultry Federation; and the family of the late Dr. Earl Benjamin. he organized the Washington cooperative Egg and Poultry Association. He was awarded a Pioneer in Agricultural Marketing by the American Marketing Association. Earl continued his involvement in national farm and agricultural organizations. He opened a consulting business dealing with Marketing and Shipping of Agricultural Commodities. He published the “Marketing of Poultry Products,” which went through five editions. Several retired Gold Kist management team members (from left): George Turk, Wilson Denny, former CEO Harold Chitwood, Gerry Smith, and Seals Burdell, accepted the Hall of Fame award for the late D.W. Brooks, founder of Gold Kist. Mark E. Cook: Mark Cook earned his B.S. in Microbiology, M.S. in Poultry Nutrition and Ph.D. in Poultry Nutrition/Immunology from Louisiana State University. He advanced from a postdoctoral appointment to professor at the University of Wisconsin-Madison. His research program focused on relationships between pathology, nutrition and the poultry immune system, to advance animal health and food production. Work in his laboratories led to more than 40 patents being granted to Dr. Cook’s teams, protecting the discoveries and permitting licensing of the products for commercial production. Conjugated linoleic acid was developed as a dietary supplement for reducing body fat while maintaining lean muscle mass. 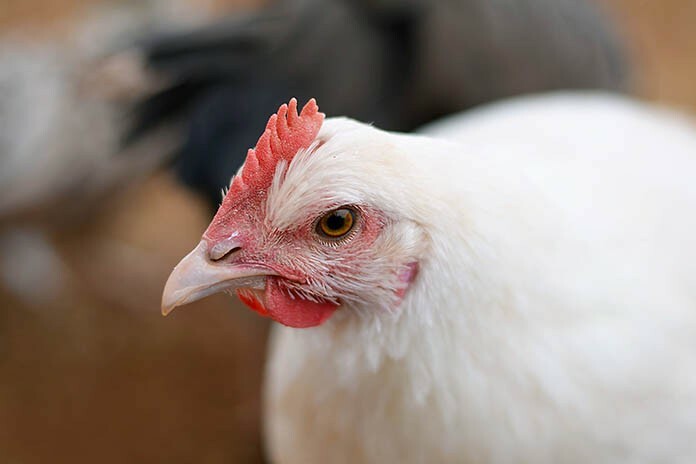 Naturally created antibodies, produced in chicken eggs and sprayed on animal feeds protect immune responses and improve animal health and production. A system was developed to identify infections through analysis of the subject’s breath. In addition to being an incredibly insightful researcher, Mark was an excellent teacher and student mentor; he provided leadership in faculty governance. He received numerous awards and honors for a lifetime of devoted service to the university and the poultry industry. Abit Massey: Abit Massey, a name synonymous with the Georgia Poultry Industry, was born in Greenville, S.C. He received his bachelor’s degree from the University of Georgia (UGA) and a Juris Doctorate from Emory University. Abit’s advocacy for the poultry industry has long been recognized not only in Georgia but throughout the entire poultry industry through his legislative and regulatory work as well as his promotion of education and research in the poultry world. Abit’s diligence on behalf of contract producers has been effective and widely emulated. 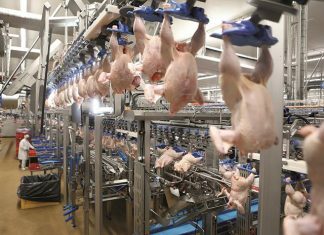 He played a significant role in expanding research, which lead to sustained advances in all segments of the poultry industry from live production through processing. Abit received the President’s Medal from the University of Georgia for his extraordinary contributions to improving the quality of life in Georgia, as well as the only UGA graduate to be recognized by Georgia Tech with a Presidential Citation for Service to the State of Georgia. Since Abit exemplified an exceptional Georgian who has served the state and fellow citizens through countless contributions in his personal endeavors and his professional pursuits, Oct. 6, 2016 was proclaimed as “Abit Massey Day” by the Governor of Georgia. Jim Perdue: Jim Perdue is a native of Maryland. Jim received his B.S. degree from Wake Forest University, Master of Marine Biology from the University of Massachusetts at North Dartmouth and Doctorate of Fisheries from the University of Washington, Seattle. Jim continued his education and received an MBA from Salisbury University. Jim joined Perdue Farms in 1983 and is the third generation of Perdues to lead the company, since it was founded by his grandfather in 1920. Jim, like his father and grandfather, is an innovator and continues to manage Perdue Farms as a “premium protein company” involved in the production of chicken, turkey, pork, beef and lamb. Jim has been a leader in producing totally antibiotic-free chicken raised humanely. Perdue Farms, under his leadership, is recognized internationally in the grain and oilseed business. Jim is a member of the National Chicken Council, serves on the Oyster Recovery Partnership Board in Maryland, as well as on the Board of Salisbury University’s Perdue School of Business Shore Entrepreneur Program. Jim is currently the chairman and advertising spokesman for Perdue Farms. Next articleWhat happens during transfer?